April 15, 2015 was a heady night for Friends for Our Riverfront. 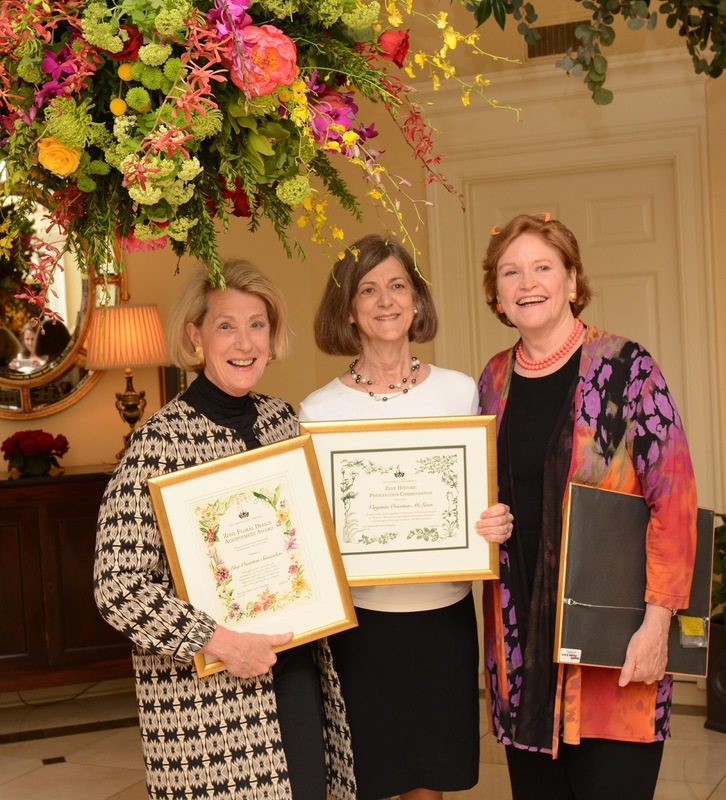 Along with former First Lady Laura Bush and First Lady of TN Crissy Haslam, three FfOR board members received awards from the Garden Club of American. Left to right: Lisa Snowden for Design, Virginia McLean for Preservation, and Jeanne Arthur for Conservation. Friends for Our Riverfront president, Virginia McLean, was invited to serve on the Waterfront Center jury to select the 2012 Excellence in Design award winners. Each submitted project is evaluated in terms of good design; economic feasibility; how well the project fits the individuality, history, and economic climate of its community; participatory planning; environmental sensitivity; and provision of maximum amount of public access to and along a waterfront. Also serving on the jury were: (Front row, left to right) Eric Burchill, executive director, Waterfront Development Corp., Halifax, Nova Scotia, Canada; Tim Arntzen, executive director, Port of Kennewick, WA; (Back row, left to right) Mark O. Dawson, principal, Sasaki Associates Inc., Watertown, MA (jury chairman); Ms. McLean; and Mathieu Schouten, landscape architect, Municipality of Nijmegan, The Netherlands. 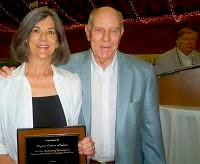 At the 2011 Shelby County History Awards Dinner, Virginia McLean received an award from Dr. Nick Gotten, president of Descendants of Early Settlers, for FfOR's efforts to protect and preserve Memphis history along the riverfront. The awards event is sponsored annually by Shelby County Historical Commission, West Tennessee Historical Society, Descendants of Early Settlers, Bartlett Historical Society, Davies Manor Association and the Shelby County Historian. Shelby County Mayor Mark H. Luttrell, Jr. was the keynote speaker at the Aug. 10 awards dinner held at Davis Manor. On Oct. 23, 2009, FfOR received the prestigious Clearwater Award given annually by the Waterfront Center of Washington, DC to recognize citizen organizations who support public spaces, unique cultural features, civic pride, sensitivity to the water, economic sustainability and environmental values for their city's waterfront. 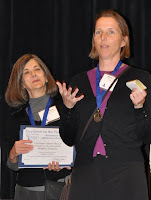 FfOR secretary Renee Lartigue and president Virginia McLean in Seattle accepting the Clearwater Award. 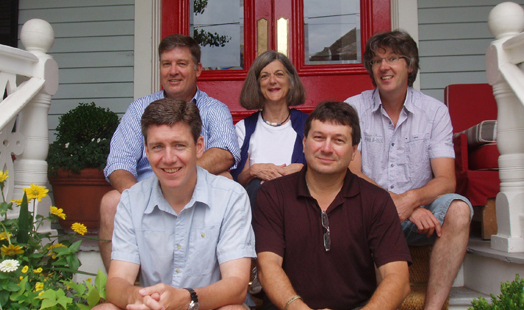 Friends for Our Riverfront (FfOR) board member, Lisa Snowden, received the prestigious award in 2010 for her significant contribution to conservation in Memphis and for her commitment to good public spaces, clean water and sustainable development. Lisa has served as president of Memphis Botanic Garden, president of Little Garden Club, and a leading force in the design of our city’s recently opened $5M children’s garden, My Big Backyard. FfOR president, Virginia McLean, was selected as one of 50 Women Who Make a Difference for 2007. An urban planner by education and author of The Memphis Guide, Virginia was recognized for her involvement in heightening community awareness of Memphis's treasures and as an activist who works tirelessly for the betterment of Memphis and its citizens. With Virginia at the award ceremon on Aug. 27 were FfOR Board members Susan Caldwell, who received the honor in 2006, and husband Hite McLean. Friends for Our Riverfront board member, Susan Caldwell, was selected one of the year's 50 Women Who Make a Difference for 2006!! Friends for Riverfront received Sierra Club's "Smart Growth" Award in December, 2004. The award was in recognition of FfOR’s plan to protect the harbor and to restore the Public Promenade. The Promenade, which was donated by City founders as a public greenway, is currently on the Tennessee Preservation Trust’s "Top Ten" list of most endangered sites. Virginia McLean holding the Sierra Club 2004 Smart Growth Award. With her from left are board members Jeanne Arthur, Sue A. Williams, Don Richardson. Click photo to enlarge. On September 23, 2004, at the historic Parkview Hotel, FfOR president Virginia McLean was presented with the Memphis Heritage Preservation Planning Award for 2004. This honor was given "for outstanding efforts to foster historic preservation activities through the use of the urban planning process." On behalf of FfOR, president Virginia McLean accepting the Memphis Heritage 2004 Preservation Planning Award. From the left: Hite Mclean, Don Richardson, June West, Jeanne Arthur, Virginia McLean (front), John Gary (back) Judith Johnson, Susan Caldwell, Sue A. Williams.